BRYAN EATON/Staff photo. 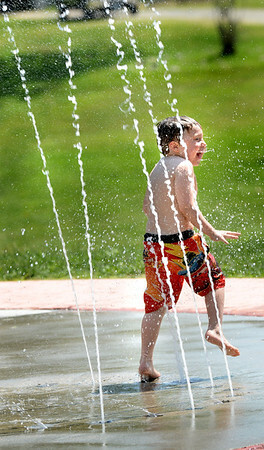 Logan D'Angelo, 4, of Newburyport cools off in the water park at Amesbury Town Park during the heat wave on a visit there with his grandfather Mike Florent. The temperatures get back to normal and drier during the latter half of the week.